Our fantastic new Synthetic Flight Trainer, an Elite iGate Model S623, is now approved by CASA to category ‘B’ and available for all IFR approach recency, including RNAV approaches using the Garmin 430 GPS receiver. Night flying during the day? Yes of course. 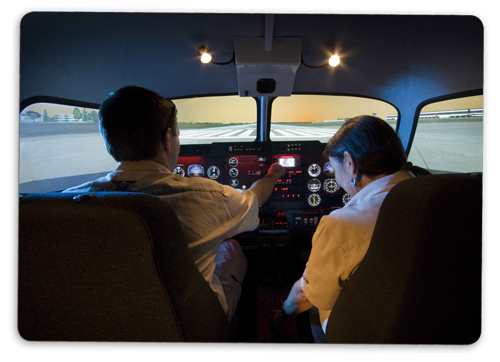 We now have the ability to train towards your night VFR rating, any time of the day or year! The visual system on the Simulator is especially good for those elusive night circuits out of Aldinga Airfield. Training and testing for both these ratings is still at this stage, a ‘work in progress’. 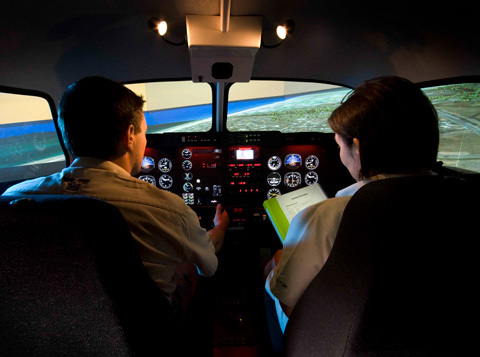 We will soon be able to offer this level of advanced training, making good use of the Simulator and our IFR aeroplanes. What about all the aspiring pilots, Mums and Dads, girls that can do it, guys that want to try, home based ‘Flight Simmers’, team building, work colleagues and mates? Well now you can be in command of a multi engine aeroplane…. 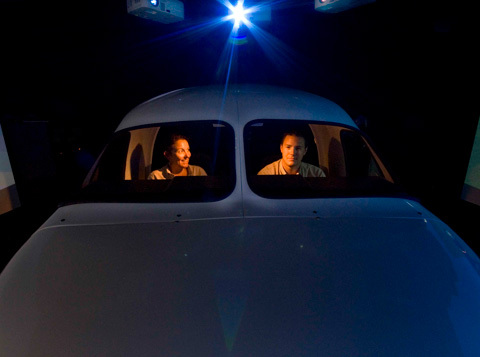 Put yourself in the Captain’s seat with your Co-Pilot on the right, fully briefed and ready to take off. Lined up on Runway 23 at Adelaide International, you steadily push the power levers forward, the sound builds and you start to accelerate down the runway….V1/Rotate. A steady pull on the controls, rotate towards 10 degrees pitch up, and you are airborne towards West Beach. Which way to go? The choice is yours. If you have time to look out the window as you come out of the cloud towards Aldinga Airfield, the McLaren Vale wine region is spread below you, the coastline is lit up if you are flying at night, relax and get a feel for the aircraft, your Instructor will vector you as required, eventually to return to land with an increased heart rate for sure!! Group bookings for up to 4 people (2 flying, 2 watching) can also be accommodated. Flight Office, Kitchen and comfortable waiting areas available.